Night Festival 2012 in Singapore is only until today (Event dates: 24-25, 31 August and 01 September 2012). Since we were around the city area last night, we went to the National Museum of Singapore, one of the Night Festival’s event venues. During our last visit there, we were not able to finish the tour at the Singapore History Gallery so we thought of heading straight to that area. We got our “companion” at the entrance and went on our “guided” tour through Singapore’s history. 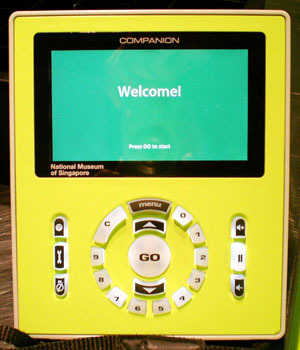 The “companion” is like a big iPod Classic, complete with earphones, and even comes with lanyard so you can use it hands-free. This device allows you to go about the tour at your own pace. If you follow the tour in detail, a day might not be sufficient. And since we went there at around 11pm (museum was open only until 2am), we just went to areas which we found to be significant, such as, Singapore’s “kampong” (Malay word for “village”) era, their merge with Malaysia, its development through the years, and the leadership of modern Singapore’s founding father and first Prime Minister, Lee Kuan Yew. Before we got to the exit, we noticed people posing for photos, so we took a peek. 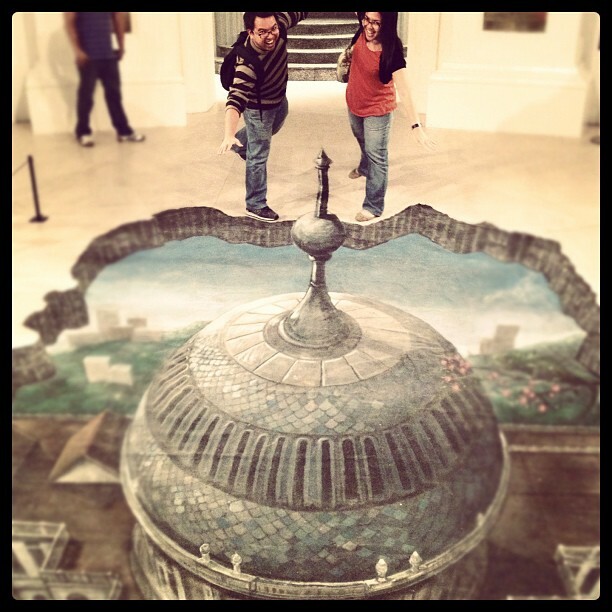 There was a 3D pavement art by Joe Hill, right at the lobby of the museum. I have heard about his works at Bugis, and seen some of them on the internet. I thought they are cool. Amazing, right? To see more of his 3D pavement art, please visit joehill-art.com. National Museum of Singapore is at 93 Stamford Road Singapore 178897. FREE admission from 6pm to 8pm DAILY. For more visiting information, please visit their website. Of course I cannot do it without my online tutorial. 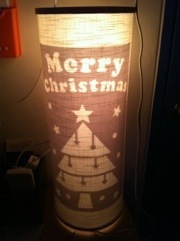 Thanks to Meream of boredandcrafty.com. 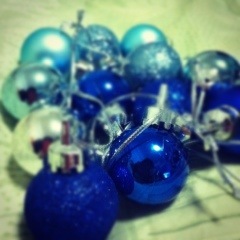 For Filipinos, Christmas time usually starts when the -BER months come—SeptemBER, OctoBER, NovemBER and DecemBER. People start to put up their Christmas trees and decors, and to go to the mall for Christmas shopping. Since we will be spending our Christmas in Singapore, I thought of decorating our place (our small bedroom at least, since we don’t have much space in the living room), on a budget though. I went to Daiso (S$2 shop) and found all the things I needed there. These are stencils sold in packs of two. 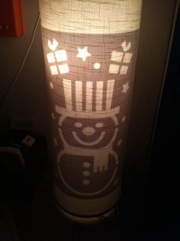 They are sticked inside the lampshade with clear tape. Cost: S$2.00. 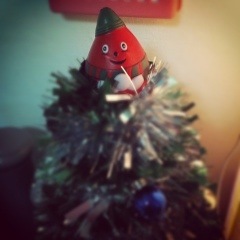 And since I have no star or angel to place on top yet, I let my drop-of-blood-shaped Christmas squeezeball (or humpty dumpty, as my friend calls it) sit there for the meantime. Isn’t it cute? 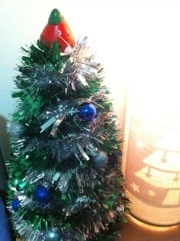 Total cost of the tree is S$8.00. 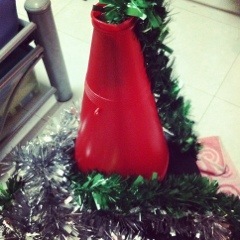 Making up your home for the Christmas need not be expensive. By using your imagination and creativity, you can create something to brighten up the holiday spirit.